My father and his family is not foreign to this beautiful city otherwise known as the "City of the Gentle People". Most of my Uncles and Aunties graduated from Siliman University, the country's first Protestant University and the first American University in Asia. It was only in 2011 though that I got to visit the beautiful city of Dumaguete, Negros Oriental. And I was in love. I said to myself that this is where i am going to settle in the Philippines. I love the charm of the city. It was very much a province. Slow paced. Yet, they have Robinson Mall that will remind you of Manila. But it wasn't like Manila. Not at all. They have a lot of really nice restaurants and bars. But if you are in the city, you must know that the most popular pastry they have is the Sans Rival. This food is going to make you insane... it's so delicious! Situated just along San Jose Street, corner Rizal Boulevard. The main transport of the city is a motorcycle. There's a lot on the street. I mean, a lot! It's like Vietnam. Me and my cousins even rented a number of motorcycles and went around the city on a convoy! The best experience ever! So there, it's not really difficult to move around coz there are a lot of shops that rents out motorcycles....all you need is a driver's license and you're good to go! The boulevard is to die for! I like sitting there and watch the sunrise while I eat my balut. At night, you can go for your henna tattoo. I had mine at the back. Another great thing to do in Dumaguete, apart from eating, driving, is to go the beautiful marine reserve protected by NIPA, the Apo Island and snorkle! Please note since this is protected, you have to pay a minimum entry fee. Click here for the Apo Island Fees. But let me tell you, what you've paid doesn't give justice to what you will experience. There you will see corals that are so alive it's like they are dancing to the beat of the waves and so many very colorful fishes....they are just the most beautiful and the most amazing thing i've seen underwater. It is after all, one of the world's best known community-organized marine sanctuaries. Not even snorkeling in Boracay, Puerto Gallera or even as far as Tioman in Malaysia can beat this! Anyway, I've been talking about snorkeling because that's what I can do and what i have done. The most popular there though is diving. And that's what most tourist do there. I bet it's even prettier deep under. 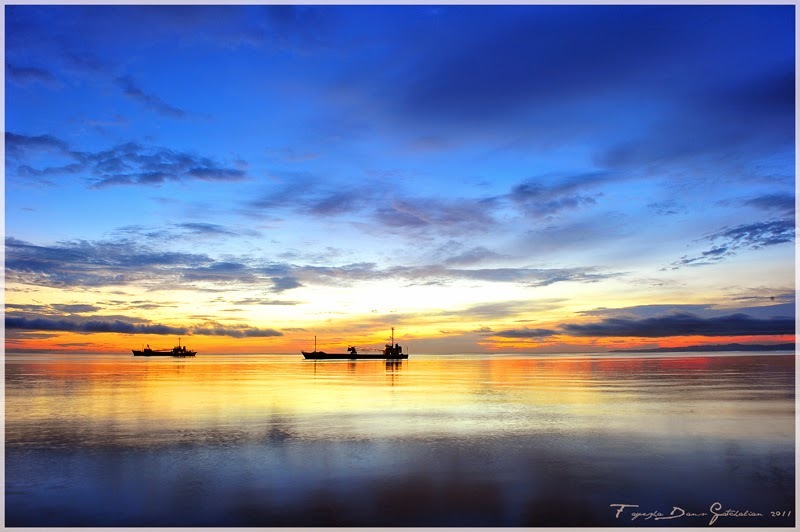 The place can be reached by a 30-minute motorized boat ride from Malatapay, Zamboanguita. 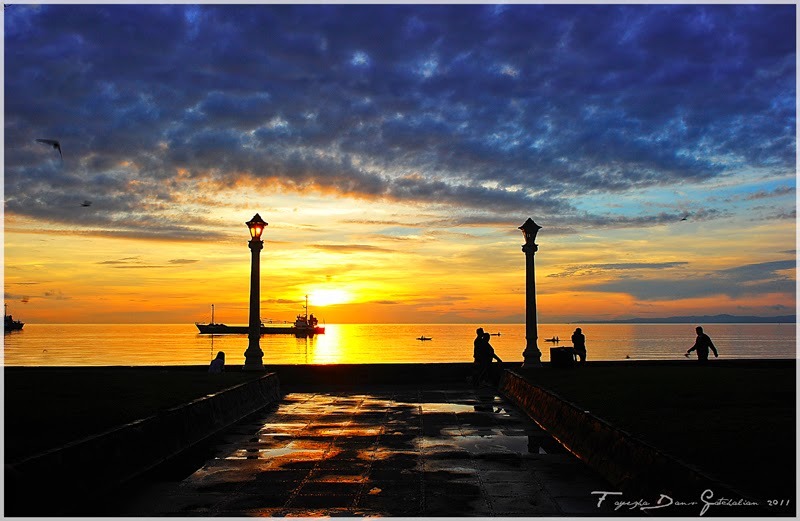 If you have the chance, visit Dumaguete City! You will love it just as much as i did. You can take the plane from Manila or Cebu. Philippine Airlines and Cebu Pacific flies there! And if you're from the south, like we are, you can take the roro boat from Dipolog to Dumaguete. This is the Rizal Boulevard, just across Bethel Guest House!